The USS Vicksburg is returning home when the crew comes upon a lifeboat bearing a dead Somali pirate who shows signs of torture. Questions immediately arise: Who is this man, and which ship did he come from? Who tortured him? 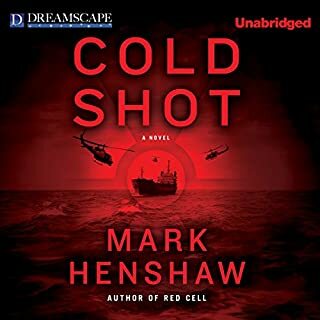 Soon Red Cell analysts Kyra Stryker and Jonathan Burke have traced the dead man back to an Iranian ship currently bound for Venezuela - and the ship appears to have dangerous, radioactive cargo on board. Mark has done it again. 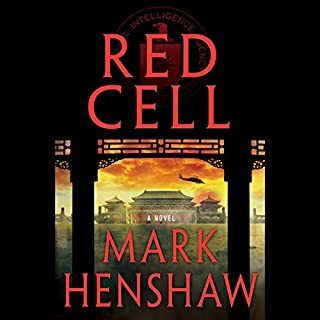 In this sequel to Red Cell the characters once again find themselves in the situation of working to prevent a war between the United States of America and another country. This book is an action packed adventure you see how cooler heads in the field can prevent politicians from plunging the country into yet another war. I hope that Mark continues to write! This is one occasion when I would probably recommend the print book over the audio book. I was not fond of the narrator of this book. He often sounded distant and uninterested in the material he was reading. There did not seem to be any enjoyment, warmth or character to his reading of the book. The conversation between the characters felt flat, emotionless and distant. The whole performance was more like listening to a court reporter and less like a well written novel. 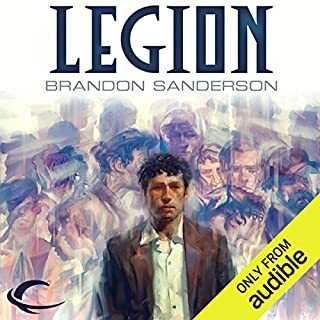 I really enjoyed the book and think a better narrator would have only made it more enjoyable. My favorite scenes of the book were when people realized what was going to happen, and then when the characters realized exactly how much their lives were going to be impacted. 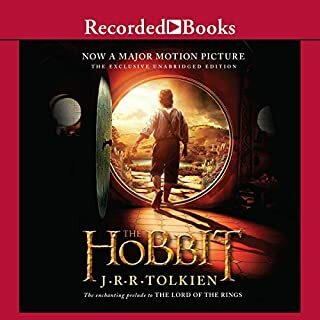 As I listened to this book there were several times when I cried and laughed with the characters, the narrator did a great job of conveying the emotion of the moment and the feelings of the characters through out the story. 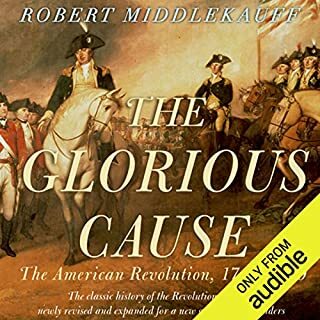 A very well written detailed history of the American Revolution. The author does a great job of sketching out the people who played a part and what part was played. He also does a great job of keeping the text unbiased when presenting the facts allowing for a clear understanding of both sides of the conflict. 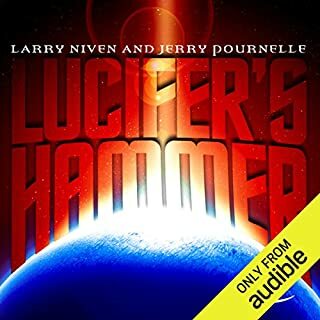 Would you be willing to try another book from Larry Niven and Jerry Pournelle ? Why or why not? 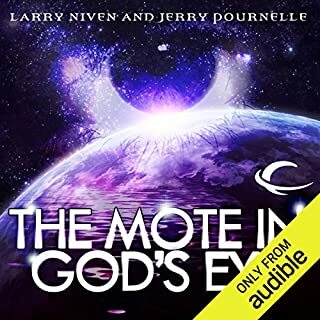 I have read both Larry Niven and Jerry Pournelle in the past, putting them together was a great idea. What three words best describe L J Ganser’s performance? I really enjoyed the twists that the plot took once you met the people of the mote. The author has a really soothing voice. Listening to this book reminded me of my childhood. This was on of the first books that I remember my dad reading to me as a child before bed time. I really enjoyed all of the characters in this book. At different points in my life I have been better able to understand the different characters better. I have recommended this book to several of my friends. 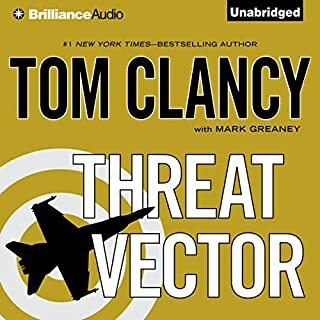 I finished this book a couple of days before the news became very heavy with stories of the Chinese hacking the United States of America computing infrastructure. It is a case of going, WOW this could really happen and are we really prepared for the threats that are coming. Lou Diamond Phillips does a great job of bringing out the emotion of the moment and bringing the characters to life. He has become one of my favorite readers. If I could have listened to this book in one sitting I would have. As it was I ended up listening on my ride to work and then continuing to listen while I was sitting at my desk doing my work. Really enjoyed this novella, I hope that the author continues the character. It's not every day that you see a new take on a classic detective novel. In his 1981 inaugural address, Ronald Reagan discussed inflation and the burden of taxation, promising a "new beginning" of "putting America back to work". 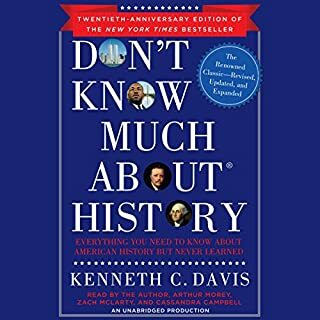 All Americans should know their history. 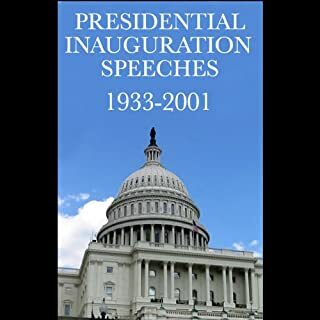 President Obama could have almost re-read this speach and touched on most of the problems that the United States are facing at the beginning of his second term.